Home / fengshui / music / news / nl-music / yeti pack / YETI PACK releases oriental trap single "FENGSHUI" in time for Chinese New Year! YETI PACK releases oriental trap single "FENGSHUI" in time for Chinese New Year! 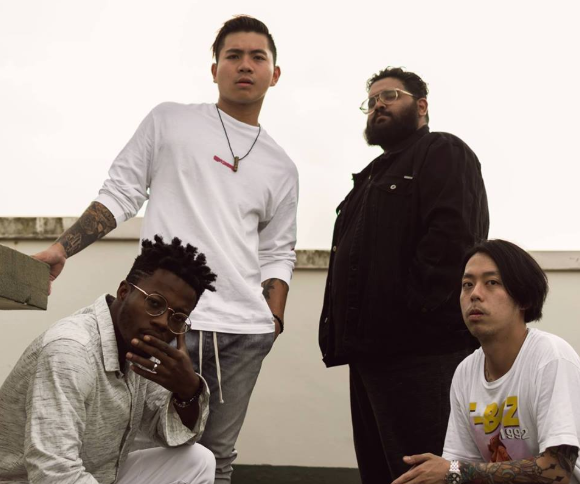 Probably the most diverse hip hop outfit in the region, YETI PACK is set to light your Chinese New Year celebration on fire with their latest single, "FENGSHUI". Made up of members from North America, Europe, and of course, Asia, the quartet comprises of AFRO JUNIOR, Rush Martines, RVND and YELLO. Their sound has a lot of Asian influence and Southern drill music which they describe as 'kung fu trap', and it's certainly a fusion of genres we've never heard before! Now, just in time for the Lunar New Year, YETI PACK's oriental trap banger "FENGSHUI", is a triumphant anthem of East-Asian influence that - with catchy plucks and synths and Three 6 Mafia-style lyrics - comes hot on the heels of their last hit single, "Broke AF". “FENGSHUI” was added into Spotify’s official playlists - Beats & Rhymes, New Music Fridays Singapore and New Music Fridays Malaysia soon after it’s release at midnight of February 8th. Not only that, YETI PACK is also featured on the cover of New Music Fridays Singapore, as well as actively snagging 2 spots on Beats & Rhymes playlist - with both tracks “BROKE AF” and “FENGSHUI” side by side. The group main objective as they put it, is to "aim to misappropriate culture and subculture in hopes of bringing back wit and zest to music". So, best you remember the name: YETI PACK - Four individuals. Three races. Two words. One pack.